What's it worth to see your team try for the first championship of your lifetime? Cubs and Indians fans are driving ticket prices for Game 7 of the World Series tonight to record levels. The average price paid for a Game 7 ticket in Cleveland has hit $2,700, according to resale service TicketIQ. That's higher than any other baseball game, edging out the $2,600 that fans paid to see Game 3 at Wrigley last Friday. That was the first World Series game there since 1945. "Game 7 will be in a league of its own for MLB prices that we've tracked over the last seven years," said Jesse Lawrence, CEO and founder of Ticket IQ. 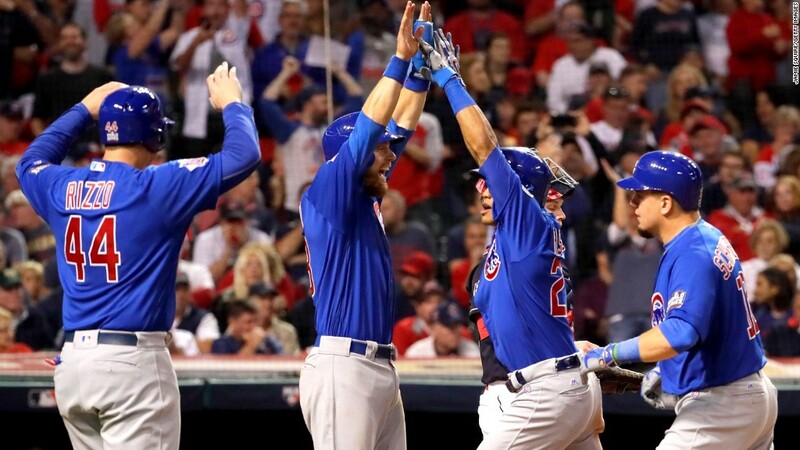 Cleveland hasn't won a World Series since 1948, while the Cubs haven't won since 1908. That's made both team's long-suffering fans willing to spend astronomical prices for the chance to see their team make history. Before this year's World Series, the most expensive average ticket price for a baseball game was $1,147.18 for Game 2 of the 2010 World Series in San Francisco, according to TicketIQ. Prices for Game 7 climbed sharply during Game 6 Tuesday night, as the Cubs built an early lead that set the stage for another match-up. The average asking price for Game 7 tickets jumped 56% between the first pitch and the end of the game, and now sits at $4,200. The most expensive tickets sold for tonight's game were for two seats just behind the Cubs' dugout. They sold for more than $15,000 each during Tuesday night's game. Ticket prices are being driven up partly by the fact that so many Cubs fans are headed to Cleveland for the game. TicketIQ said it's actually selling far more tickets to people from the Chicago area than it is to Cleveland area fans. And it's not just tickets that are going for top dollar --Cleveland hotels have jacked up their prices. Rooms are going for even more than they cost during this summer's Republican National Convention. There are less than 10 rooms left in downtown Cleveland for Wednesday night, said Emily Lauer, spokeswoman for Destination Cleveland, the city's convention and visitors bureau. "It's not completely impossible to find a room, but you're paying a premium for sure," she said. The University Hotel and Suites, a two-star hotel about a mile from Progressive Field, has one room listed online for $475. On Thursday night that same room will go for $75.